Summer is almost here, and for guys that typically means they can spend more time outdoors. From cookouts, to camping trips, it seems like there's always a good excuse to get out of the house (or man cave) this time of year. Unfortunately, all this extra time outdoors can be damaging to your skin's health and may even lead to breakouts that are worse than usual. No fears though-you're in luck! We've compiled a guide just for men to help you stay acne free. Here are our best tips for healthy, clear skin that won't have you missing out on any summer fun. Guys are no strangers to working up a sweat-especially in the summer. Unfortunately, this can spell trouble if you're worried about breakouts. Sweaty skin has a tendency to attract all sorts of dirt and debris, which can clog your pores more than they already are. While this may not be an underlying cause of acne, it can definitely make things worse. Additionally, sweat can lead to heat rash-a condition that leaves your skin red, itchy, and bumpy. Heat rash is not directly related to acne, but it does create inflammation. When skin becomes inflamed, your risk for breakouts increases, since it diminishes overall skin health and causes pores to shrink. In order to avoid these sweaty pitfalls, you'll want to keep your skin free of it. Carrying a towel outdoors is a simple way to accomplish this, but you still want to be careful - a dirty towel can actually make things worse. Each time you reuse one, you're simply spreading residual debris and bacteria back onto your skin! Maintain a regular cleansing routine. As you probably already know, avoiding sweat during the summer is sometimes easier said than done. That's why it's important to have a regular cleansing routine to ensure that this somewhat unavoidable process is not sabotaging your healthy skin. As a guy, you're probably not too worried about the latest beauty and cleansing products, and for the most part that's fine. Many of these things are nowhere near as effective at helping you maintain clear skin as their advertisements imply. However, your routine will need to be a bit more than just soap and water-as these things can actually make your problems worse. These can actually strip away your skin's oils (aka sebum), which can leave it feeling dry and irritated. To compensate for this problem, your skin actually creates even more oil-which leads to pore clogging and more acne! Instead, find a product that works with your skin type. For people with oily skin, this means choosing something that keeps your sebum production in check without stripping it away entirely, as with soap and water. If you've got dry skin, choose a product with a built in non-comedogenic moisturizer to keep it supple and healthy. However, since the sun has a drying effect, even people with oily skin may want to consider a moisturizer during the summer months just to be safe. You may be craving that beach-bronzed look, but unfortunately, this is one of the worst things you can do for your skin! Not to mention, this accelerates the aging process - who wants to do that? In addition to drastically increasing your risk for skin cancer, excess sun exposure can make your acne problems worse. As mentioned earlier, too much sunlight can dry your skin and cause it to overcompensate by producing excess skin oil, which leads to more clogged pores. The most obvious way to avoid this problem is with sunscreen. However, choosing the right one is not as simple as picking a product with a high SPF. While the SPF system is a somewhat reliable indication of how much protection it offers, it only refers to a product's ability to block UVB rays. However, in addition to these, there are also UVA rays to worry about. Because of this, always choose a sunscreen that is labeled as "broad spectrum"-which means that it has been certified to protect against both types of rays. Additionally, you'll want to avoid some sunscreen chemicals including the list below. In certain studies, these have been shown to have a toxic effect on the skin. Instead, opt for products that use titanium dioxide or zinc oxide-you may find that sunscreens using these ingredients referred to as "physical" or "inorganic" sunscreen. Effectively treating your acne year round. While summer weather may make your acne problems worse, that doesn't mean your issues will magically disappear once fall rolls around-breakouts are a year-round problem. Until you begin to treat the underlying causes of your acne, these summer skincare tips won't do you much good. 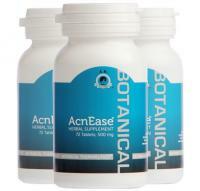 At its root, acne is a hormonal problem. When too much androgen reaches the bloodstream, this sends signals to your sebaceous gland to produce more sebum. In turn, this clogs your pores and begins the cycle of breakouts. Until you begin to address this issue with a treatment designed to reverse this cycle, your skin will continue to suffer. You may want to read that again because it is extremely important! Our current AcnEase users are already on their way to doing this - breaking that cycle, year round, naturally, safely and effectively. It not only has a very high user success rate, but AcnEase also has no sun restrictions, so summer plans don't have to be jeopardized and it isn't a messy topical that you have to waste time with. This product helps moderate your skin's response to hormonal imbalances so that you're not producing any more sebum than is absolutely necessary for good skin health. No more roller coaster rides of trying something new in hopes that it will work long term and no more wasting time and money....you can finally get to a point where you look in the mirror with confidence.